Saturday December 29 – at North Carolina – Davidson fans cannot wait to see what Kellan Grady can do at the Dean Dome. North Carolina is one of the most storied programs in college basketball; and yet again, the Tar Heels are a national championship contender. The entire conference is going to be thrilled for this Tar Heel State showdown on New Year’s Weekend. Perhaps, Davidson could shock the world with a big win over in-state rival North Carolina. Saturday December 8 – at Auburn – A number of college basketball writers think the Tigers have a legitimate shot at dethroning the Kentucky Wildcats from atop the SEC. Mustapha Herron, Auburn’s leading scorer from last year, transferred to St. John’s. However, Danjel Purifoy, a dynamic 6’7″ wing who can light it up from deep, returns from missing the entire 2017-18 season due to NCAA violations. His presence on the court will help out Auburn immensely. Bruce Pearl could potentially find his squad within the Top 25 for most of the season. Nonetheless, this will be a tough game for Dayton following their appearance in the Battle 4 Atlantis over Thanksgiving Weekend. Wednesday December 19 – vs Penn State at PPG Paints Arena – Duquense has a much stronger non-conference schedule than last season. Along with the Nittany Lions, the Dukes visit the Fighting Irish in South Bend and play their Steel City rival Pitt on November 30. One could certainly make the case for those other two games as Duquene’s biggest non-conference game of the season. However, Penn State, for the first time in a long time, has a strong opportunity to make the 2019 NCAA Tournament. They are, after all, the 2018 NIT Champions. Duquense has the potential to make some noise this year with their feisty back-court and their hand full of transfers. A win against the defending NIT Champions would do wonders for Keith Dambrot and the Duquense program. Saturday December 8 – vs Rutgers – Fordham gets to host a Power 5 opponent in Rutgers at historic Rose Hill Gymnasium in the Bronx. For the last few years, Fordham has lived in the cellar of the Atlantic 10. A Fordham victory against the Scarlet Knights on their home floor would carry tremendous amounts of momentum heading into Atlantic 10 play. Monday December 3 – vs Vermont – Ever since the Catamounts beat Syracuse in 2005, Vermont has surmounted themselves as a true mid-major powerhouse. If they had won the America East last year, Vermont probably would have been a popular upset pick as a 12 or 13 seed. Nonetheless, George Mason faces a tough test as Vermont will travel to Fairfax on December 3. Similar to Richmond and St. Joe’s, George Mason is looking to surmount itself in the top tier of the A-10. An early season victory over Vermont would help them do so. Saturday November 17 – Hall of Fame Tip-Off vs. Michigan in Uncansville, CT – George Washington has a golden opportunity as they will play two Power Five schools at the Basketball Hall of Fame Tip-Off in Connecticut early on in the season. Along with Michigan, GW will play either Providence or South Carolina. Michigan had a fantastic season last year as they fell one win short of the National Championship. If the Colonials could pull off a victory against the Wolverines, GW would win one not only for themselves, but for the entire conference too. Friday December 21 – Battle of the Boardwalk in Atlantic City, NJ – LaSalle has one of the best and toughest non-conference schedules in the conference. The Explorers visit Temple and Florida, play defending national champions Villanova at the Palestra, and are scheduled to play in the Wooden Legacy Tournament out in Fullerton, CA over Thanksgiving. Out in California, LaSalle will play Miami in the first game, Northwestern or Fresno State in the second, and one of Seton Hall, Grand Canyon, Utah, or Hawaii in the third. Nonetheless, Power 5 teams litter LaSalle’s 2018-19 non-conference schedule… which brings us to the Battle of the Boardwalk in Atlantic City on the weekend leading up to Christmas. LaSalle will play Alabama A&M in the first game, and then either Towson or Tulane in the second. Given their difficult slate, they cannot afford to slip up in AC. The Explorers are the best team of these four. LaSalle can also be seen as having home-court advantage as their fans only have to travel an hour down the Atlantic City Expressway from Philly. Ultimately, anything short of two wins in AC would be disappointing for the Explorers, hence why the Battle of the Boardwalk is of utmost importance for LaSalle in their non-conference season. Friday December 7 – at Providence – After a disappointing 13-20 campaign last season, Matt McCall wants to get his Minutemen back in the mix for the top four teams in the conference. UMASS makes the short trip to Providence to take on Ed Cooley and his Friars. Providence has sustained a lot of success in the Big East as of late. This New England match-up will be difficult for the young Minutemen. However, if they can pull off the win at Providence, they will have already achieved more success than last season. Saturday December 8 – at Holy Cross – Somewhat of a bias here, considering I am a Holy Cross student and I will be the play-by-play announcer for this game. All in all, Rhode Island should not overlook the Crusaders. Holy Cross could make some noise in the Patriot League. HC has a couple of young players that could score 25+ on any given night. Rhode Island also plays Providence and West Virginia. They certainly have a good chance to win one of these games considering both Jeff Dowtin and Fatts Russell return to the Rams lineup. Monday November 19 – vs Loyola Chicago – Their Cinderella run was probably the story of the 2018 NCAA Tournament. A-10 fans would also love to see the Ramblers join the conference in the near future. Not only would Loyola Chicago be a solid addition, but they would also bring in the Chicago market into the league. Loyola Chicago would love to make a great impression versus Richmond. On the other hand, the Spiders had a tough season last year and they want to prove themselves to the rest of the league. A spider victory over Loyola Chicago would put the rest of the league on notice. 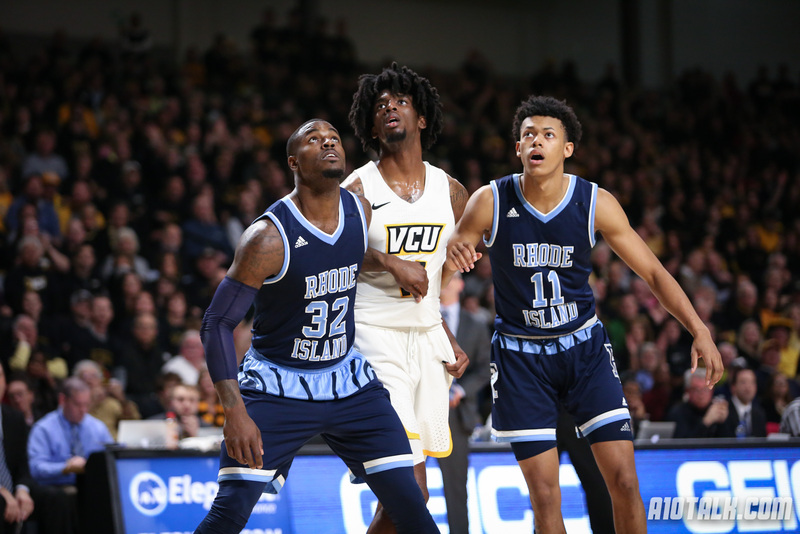 Thursday November 15 – vs Wake Forest in Myrtle Beach – Like Richmond, Coach Phil Martelli’s squad had a down year last season. Some writers are predicting the Hawks to make a big leap this year and finish in the top four of the league. Coach Danny Manning is bringing a lot of optimism to Wake Forest, as he heads into his fifth season as the man in charge of the Demon Deacons. Wake could make some noise in the ACC. A St. Joe’s win versus Wake Forest early on in the season would propel the Hawks into the upper echelon of the league. Saturday November 17 – at Seton Hall – Travis Ford has the all the hype around the Bilikens this off-season. St. Louis is a popular pick to win the A-10 this year. Seton Hall, who has made three consecutive NCAA tournaments, is a major early season test for the Bilikens. If Saint Louis could pull out a victory in Newark, the entire conference would celebrate their victory but also have a legitimate fear playing them come conference play. Saturday December 29 – at Syracuse – Last season, New York state was painted Brown and White as St. Bonaventure won at the Carrier Dome for the first time ever: the Bonnies scored 13 second-half points and won by three in overtime, 60-57. In his post-game press conference, Syracuse coach Jim Boeheim failed to recognize Bonaventure’s star-guard Jay Adams by name nor did he give any credit to how well of a game Bona played. This past summer, Mark Schmidt signed four-star big man Osun Osunniyi away from Jim Boeheim. Even Syracuse assistant coach Gerry McNamara called Osunniyi, “a hidden gem.” Can the Bonnies go three-for-three in a calendar year against Jimmy B and the Orange? If Bonaventure could win again at the Dome, maybe Boeheim would start to give Bona proper acknowledgment. Bonaventure fans everywhere cannot wait for this rematch in the Cuse. Wednesday December 5 – at Texas – Last season, Shaka Smart and the Longhorns waltzed into Richmond and beat the Rams on their home floor 71-67. This December, Mike Rhoades and company are poised for revenge. VCU faces an uphill climb, however, as Shaka Smart has a Top 10 Recruiting Class coming to Austin this season. Following their visit to Austin, the Rams have a date in Charlottesville, Virginia against the mighty Virginia Cavaliers. A tough week for the Rams; hopefully they start the week off on the right foot in Austin. hi Jack, not trying to be harsh, but how is URI’s biggest game for OOC vs Holy Cross?? You do know they play West Virginia, Providence, and possibly TCU in a holiday tournament. I know you currently go to HC, but c’mon, you can’t be serious with that take.